The Power of Protocols- An educator's Guide to better Practice. I start reading Protocol, with these thoughts, and expectations that ‘Protocols’ will be similar, griping, challenging, empowering and poking, disturbing, and most important full of learning and hopes… Strange, but true: both these books are very similar; my understanding for these books is simple. Till the time one gets this connection… one continues to wonder about this book. As one reads “An Ethic of Excellence” where Berger reasons and deals with "why" of excellence, and need for excellence, creating a culture; ‘Protocols’ deals with "how" … how to achieve and create this culture. Reading preface of the book has been very enriching, "the contradiction at the heart of ‘Protocol’ is that it has to standardize in order to liberate - they constrain participation to heighten it!” What a power full insight into ‘Protocol’, it forces reader to be more serious about this book, approach, effects and learning outcomes. Why, when, where, how of protocols becomes the learning focus and one awaits exploring them! Reading ‘Protocols’ for me has been an enriching experience. Like every time, each book adds to your perspectives and this book has added to practices too. It helped me reflect upon all my actions, successes and failures, perceived successes and perceived failures. As I look back, my first interactions at HTH, I see ‘Protocols’ at every step. Be it for “Induction on the first day “ or for “Connections on the last day”! They were new words, with little or no meaning then, and at times I found them strange too. But now, I feel connected to these words, having found meaning and purpose, with work, to a certain extent empowered and I am also surprised that 8 of us have started using this language and are influencing people around us J What were just words, now have meaning! “Lesson study” (ref page 3) I had opportunity of meeting Dr. Catherine Lewis at NSTA conference and I was touched by her gesture of giving her copy of book to me after the session. TGES worked to implement this concept into classrooms and was successful in implementing the same in primary sections but it was a major disaster for secondary school. I reflect at this failure and the hurt still remains and “protocol" helps me talk to self again and talk about this “era of accountability". According to me, the organization of the book, the description of each chapter helps a reader to understand the purpose, logic, and creates a learning outcome. It helped and convinced me why this book should be at the centre of school planning and curriculum and why must educators learn to "tune” in. Whenever any talk has important consequences, we deserve a chance to think through what we want to say and an environment where what we choose to say can be heard and respected. Another powerful line (page- 3) “pause periodically in our practice to become deliberate students of our students"
What a powerful expression, reflective practice, and criterion to identify learner's needs! This was the point that helped me understand the very purpose of this book and differentiating the same with other books. As I reflect more, I notice that I understood this book, the very purpose of Protocols and Why Protocols and how of Protocols. All the four basic ideas help the reader to organize and learn from this book. Somewhere we expect that each one of us follows certain protocols, we have certain expectations from conversations, meetings, class room practices…. this book helps us to look at how to make oneself accountable for protocol and "talk" successfully with one another. The more one explores this thought the more one is able to see the connections. It is spread in other work areas and a mind map of protocols emerge fromJ it. “We really learn from one another by just talking with one another.” When protocols are used in teaching, the transparencies they lend to interactions carries the same benefits to students. Protocols may also encourage environment of learning. It is becoming increasingly difficult not to compare two books and similarities in these two books. The idea of facilitative leadership is not new at TGES and though it certainly is in formative years, moving away from traditional leadership is a journey for all in TGES and what a progress I see in my teammates and me, as we tread carefully! “The journey from outer self to inner self - how basic ideas get converted to learning and facilitating… understanding that all of us have capacity to be the facilitator, we need coaching, mentoring and refining these skills. Facilitator- someone empowered by the role or opportunity to do these things, have more energy for making decisions they must and for reflecting on the results.” – The Power of Protocols. When this book seeps into you, you start evaluating time spent on each class; your actions are refined as a reflex. I also went through this cycle of evaluating self for time, for effectiveness, and I now have the power of protocol to guide me if I feel disconnected. This is helping me to challenge my earlier beliefs. My interactions with students and with my team, I am not only conscious, but I also ensure that participation is being promoted. Be it a classroom situation or a triage meeting or meeting with parents/ other stakeholders. This book is like a recipe book! It has Protocols for all situations in learning environments. Each Protocol has history and a future! Each protocol gives reader a chance to find situations in which the same can be used, be it for class room management, dealing with students, working with students and other stakeholders. The book will work as a guideline, manual and it has solutions for most of the situations. For me, as I experienced (read) each protocol; I kept thinking of situations where a particular protocol could have been used, and may have given me opportunity for a different desired result, for changing the situation, my failures, my learning. I thought of those situations again and I wished to re-live those moments using protocols and experiencing some changes. Yet, each protocol needs certain amount of expertise, readiness, practices to find solutions and one must be willing to invest time in learning to use them. After reading this book, I put myself in the category of new teachers, those who are in the first year category! I opted to follow this protocol with two other colleagues. I wanted to experience this protocol and experience the shift from instructional moves to analysis of learning outcomes. Some variations were required to suit the environment, without changing or moderating the basic impact. I involved two of my colleagues; we together read, understood and created common understanding of this protocol. v Teacher shared the work that was required to be reviewed for project “Culture in a Box”. 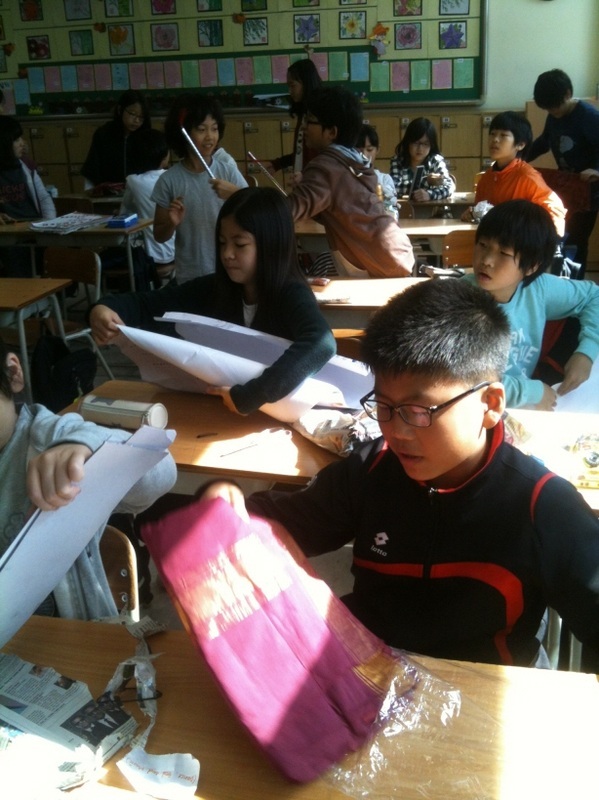 Students were to create material that depicted the culture of India and that could be fixed in box of a certain standard size; to be sent to North Korea. Students upon opening this box will read, understand and hold exhibition of the items in their school for school community. We listed 70 items made by students that will be part of this box. v Expected qualities were listed by the teacher (though this was optional, we wanted to practice each step) this was crucial as we did not want anyone to have negative or false ideas about our community and country. v Each of the work was assessed in 4 categories. Feedback to each student work, improvements required assessment of work and efforts put in for creation was done at this step. v Pattern analysis was difficult for us at this moment, as not many students had similar work; each one was attempting to bring in diversity in culture and tradition, rituals and so on. 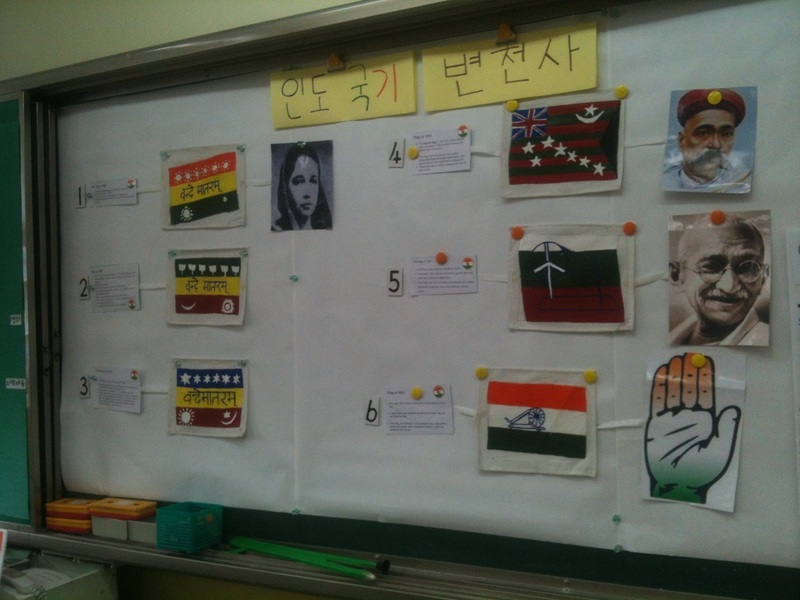 v Selection of student work – this had huge impact when the same was presented to the larger group of students. There was a significant improvement in the quality of work. v Helping students to understand further improvements needed and reaching the standards set by their peers, strengths and individual challenges. · How does one master the art of Protocol? · Will the impact of following Protocols be same, though I am not expert as yet? v Try these protocols in any environment: - this is assuring and I am actually influencing everyone around to start and follow Protocols. v Understanding that everyone can contribute, and Protocols are not for creating buy-in. v Not skipping the norms- I would want myself to be reminded about this. At times one tends to lose impact as one becomes familiar and it may become a matter of routine. v Learn by doing- practicing. v Have the courage to be vulnerable! Can a country be packed in a box?! Students in middle school did manage this. They shortlisted 70 items, some handmade, some collected; some purchased and covered topics ranging from religion, food, weddings, cloths places to visit, weddings and finally food too !!! 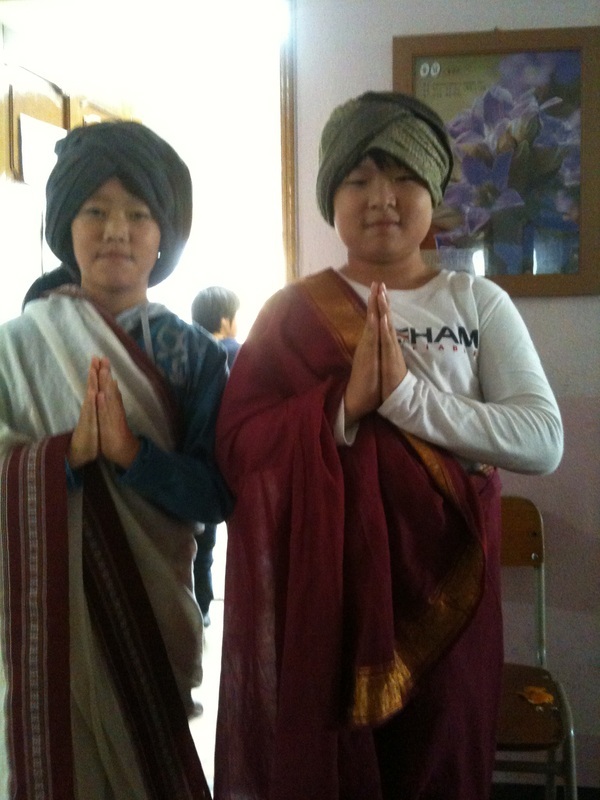 Students opening and exploring, Sari and Dandiyas!! Students painted these flags on cotton which depict journey of almost 300 years of history, of creation of Indian flag in its current form. Part of political aspects Indian national movement….